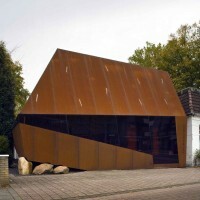 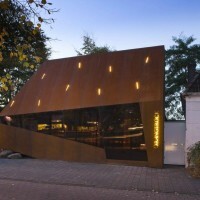 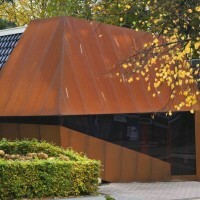 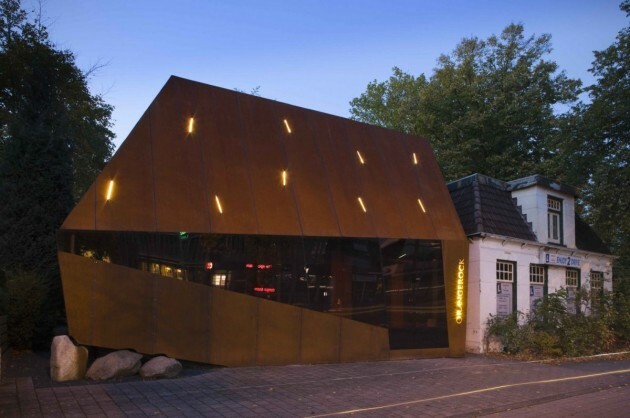 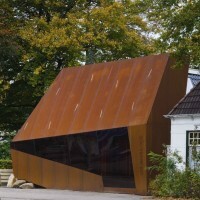 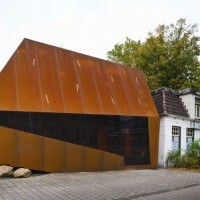 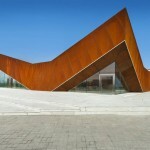 Möhn+Bouman have designed a Corten steel screen that covers an old building located in Emmen, The Netherlands. 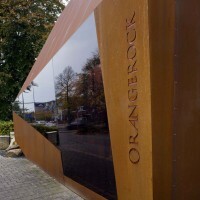 The client, a small innovative project developer called Orangerock, acquired a piece of land close to the city centre for future redevelopment, planned to take place within ten years. 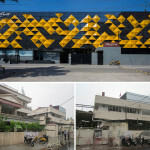 On the site some old buildings can be found that will eventually be demolished. 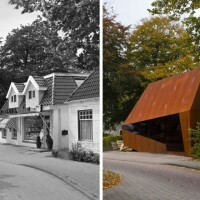 Until that moment the developer decided to temporary use one of the available buildings, an old rustique house, as his office. 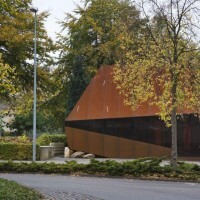 We were asked to design an intervention to turn it in a representative office. 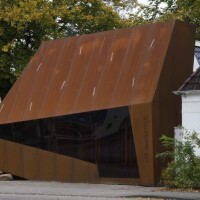 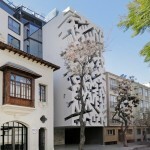 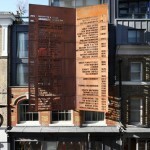 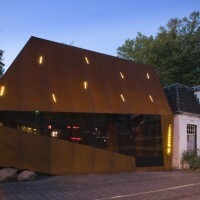 Instead of renovation for esthetic purposes, we designed a Corten steel screen that masks the old building. 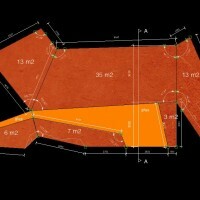 It was completely computer-cut, allowing a very sophisticated detailing. 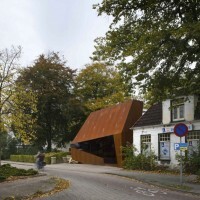 After production it was installed within two weeks. 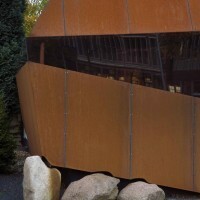 To prevent staining the glass, rusty water from the roof is guided to a hidden gutter. 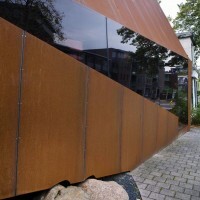 The gutter ends above a massive rock, gradually coloring it orange over the years.